Convoy of trucks going through on the highway. Title taken from caption. View of at least four trucks in a convoy. Two men are standing outside two of the trucks. A fence post is visible along the side of the road. Lyle Sherman Leseberg photograph album, Archives and Special Collections, Consortium Library, University of Alaska Anchorage. Archives and Special Collections does not hold copyright to this item. Please contact Archives for further use. 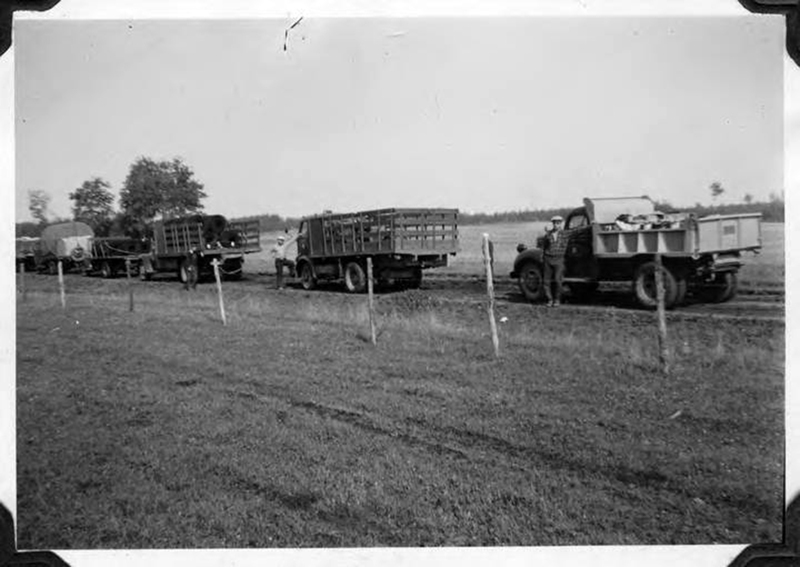 Leseberg, Lyle Sherman, “Convoy of trucks going through on the highway.,” Archives - Omeka, accessed April 21, 2019, https://consortiumlibrary.org/archives/omeka/items/show/851.